Meet Sloane Emily Jacobs: a seriously stressed-out figure skater who choked during junior nationals. 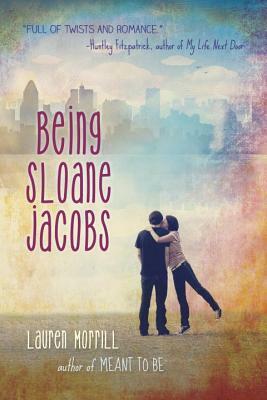 Now meet Sloane Devon Jacobs, a spunky ice hockey player who's been suspended from her team for too many aggressive hip checks. The two girls are on their way to skating camps in Montreal when a luggage mix-up causes them to meet. Pretty soon, the Sloanes realize that this is the opportunity they’ve been waiting for: the chance to escape their lives and switch places for the summer. But it didn't occur to Sloane E. that she might meet a hockey hottie; and Sloane D. never expected to run into a familiar (and very good-looking) face from home. It's not long before the Sloanes discover that convincing people you're someone else might be more difficult than being yourself.